The Hexa Collection is dominated by extreme angular lines exploding out of soft circular and oval edges. Inspired by coral collected from the beaches of Hawaii this collection is an homage to the piles of bleached coral forming mounds that dominated the shore line. When I wear this collection I'm delighted to remember the smell of the salt water in the air, the taste of it on my lips and the crunch of lava rocks underfoot. The raw landscape on the volcanic island had a huge impact on my jewelry. It was after my time on the island that I began to reference both anatomical forms and forms of oceanic life; coral, sea shells and microscopic ocean organisms in my jewelry lines. 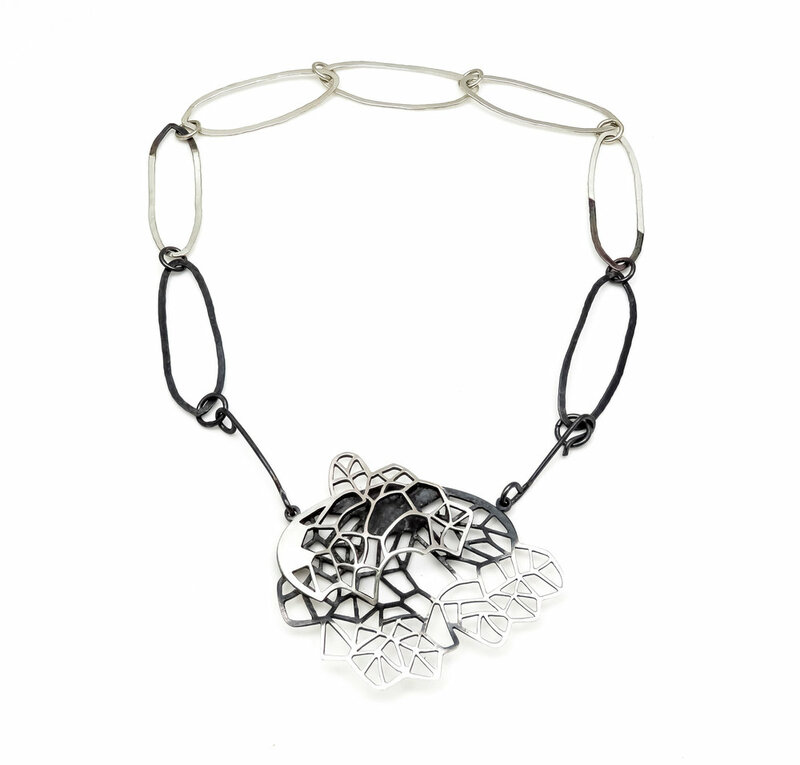 The dramatic forms in this line are edgy and yet feminine in their organic nature. I love wearing a piece from this collection; lightweight and striking a single piece from the collection can make any outfit.